How much does it cost to travel through Central America? When we left our hotel in Mexico City on Monday morning, we had no idea that we would have lunch in Guatemala! We were scheduled to fly to San Jose, Costa Rica, and only once we checked in were we told about a three hour layover in Guatemala – one of our favorite countries in the world. As the plane descended towards the airport over Guatemala City, the country’s amazing chain of volcanoes appeared and we wished that we could spend more time here again, not just a short layover at the airport. Looking out of the window, I remembered climbing volcano Pacaya two years ago, and we used to watch the ever smoking Volcano Fuego from the terrace of our guesthouse in Antigua every day. With 33 volcanoes, the country’s landscape is shaped by them. Long-term travel is all about the benjamins. Your budget becomes your bible, how much (or little) you spend determines how long you will be able to keep up the lifestyle of constant travel. We have already posted our six-month budget and our 1-year budget, but both of these include time spent either in the U.S. or Europe, which are much more expensive and so don’t adequately reflect the cost of traveling in Central America. This is why we wanted to write a separate post specifically breaking down the costs of traveling through this region, in order for those planning a trip to have a rough idea of how much traveling through Central America costs. We spent exactly six months traveling through all Central American countries – Belize, Honduras, Guatemala, El Salvador, Nicaragua, Costa Rica and Panama – spending a total of $10,685.65 for both of us. That is about $890.47 per person per month, or $30.36 per person per day (for the exact amount of days we were in Central America). Belize was by far the most expensive country in Central America, but we enjoyed our time there immensely. We could have spent less here, but couldn’t pass up the adventure ops available like snorkeling and caving, which would have been much more expensive in Europe or North America. Minus the adventure, Belize would have cost around $40 per person per day. Accommodation: $7.50 – $12.50 per person in a double room average A double room cost $25 on Caye Caulker, but only $15 in San Ignacio. Transport: A long-distance bus from Belize City to San Ignacio near the Guatemalan border was $3.50, boats between Belize City and Caye Caulker were $10. Food: $10 per person including beer. Beer $1.50 – $2.50. 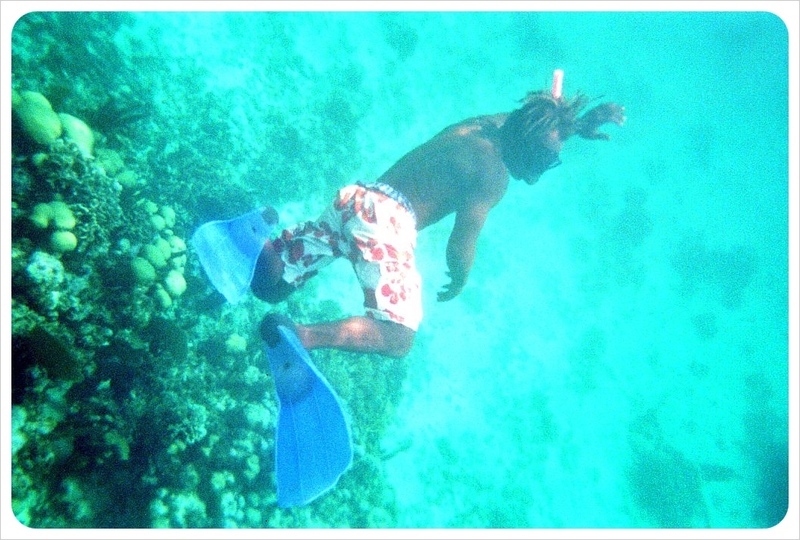 Activities: Full day snorkeling tour $40, cave tours between $45 and $70 per person. We splurged constantly in Guatemala. We took advantage of the high quality international cuisine in Antigua and around Lake Atitlan, putting away pots of fondue and bottles of wine, and discovering the wonders of Israeli food. Still, we managed to spend less than $25 per person per day by staying away from overpriced tourist shuttles and keeping our booze easy and local, plus we chose budget accommodation under $10 per person in a private room. Accommodation: On average we spent $9 per person per night. The cheapest private room we stayed in was $4.90 per person, the most expensive was $16 per person. Transport: Local buses cost between $0.50 and $3. The most expensive bus we took was a night bus from Flores to Guatemala City for $29 each. After that, we only traveled by local buses and never spent more than $3. Food: $6 – $10 per person including drinks. Beer $1 – $2. Honduras can be done on the super cheap, but as we spent the Christmas holidays here, we treated ourselves to nicer hotels (maximum $25 for both of us together) and special holiday meals. Only for that reason did we end up spending more per day than Guatemala or El Salvador. We avoided the famous islands of Utila and Roatan, however, and visitors to the islands would most likely also average similar costs, as the mainland is considerably cheaper than these popular diving isles. Transport: Buses are between $2 and $4, the most expensive bus ride was $7. Food: $5 – $7 per person including drink. 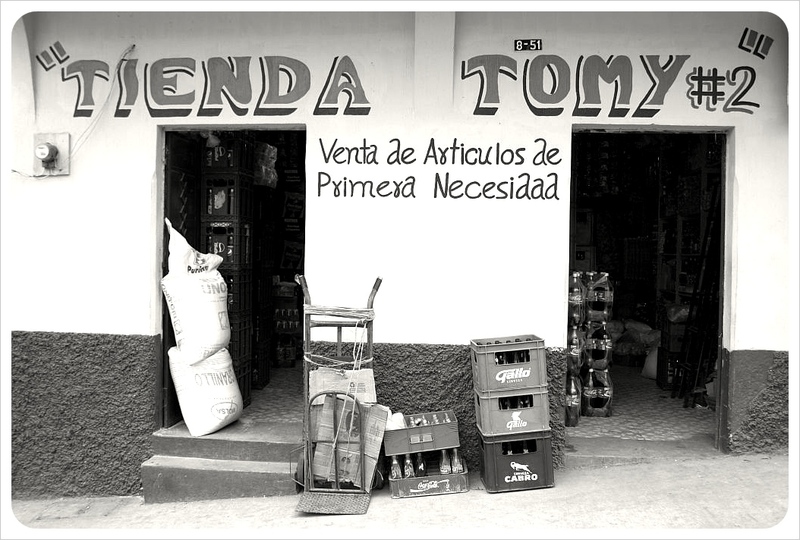 Beer $0.60 – $1.50. Accommodation was the most expensive aspect of traveling in El Salvador – we found everything else (transport, food, drinks) super affordable. We did fall hard for pupusas; eating them every meal (almost) kept our food costs way down. In general El Salvador doesn’t have much in the way of expensive tourist sites, museums are free on certain days, and even surfing can be done for $10 to $20 per lesson. Transport: Buses are seriously cheap here, between $1 – $2, with the most expensive bus ride costing $4. Food: A meal was around $4 per person, including drinks (beer). Again, pupusas cost 40 cents each, and beer is usually $1. Activities: The most expensive activity was a guided hike in Alegria for $7.50 per person. In Nicaragua, we treated ourselves to a well-earned splurge, and made the trip out to the Corn Islands. This raised our daily average significantly, but not everyone is going to make the trip to the Corn Islands. 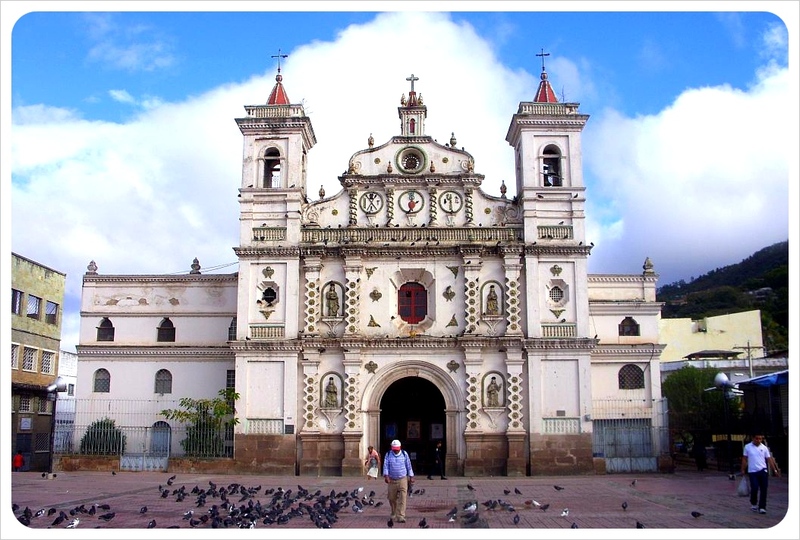 Without the trip, Nicaragua would have been the cheapest country in Central America for us. Even with eating out twice a day almost every day, we barely spent more than $20 per person per day. Food: Breakfast was between $2 and $3.50; dinner was $4 and max. $7 with beer between 50 cents and $1.20. Rumor has it that Costa Rica is more expensive than the rest of Central America, but we had a great time and easily kept costs down. Sure, it was quite a shock to see the prices in Costa Rica after coming from super cheap Nicaragua, but they didn’t vary much from prices in Honduras or El Salvador. Spend your money wisely, and those extras such as zip-lining, guided hikes and National Park visits won’t break the bank, or put you above budget, but if you’re not careful (and you like to drink beer), it’s easy to burn through Colones in a snap. There is cheap accommodation in Costa Rica, but the quality you get for $20 here is certainly far less than in the rest of Central America. Food: A meal in a restaurant or in a soda runs at around $5 to $9. Beer $2 – $3. Culture: The National Parks in Costa Rica are exceptionally beautiful and well worth the entrance fees, which range from $10 to $20. Ziplining is around $40 from the cheapest provider in Monteverde. Like El Salvador, Panama also uses the U.S. Dollar, but here the inflation caused costs in Panama to be significantly higher than anywhere else in Central America. Goods and services here are often priced equally to the US thanks to a seriously large ex-pat population (especially in Panama City), but with beer still average 75 cents a bottle…who’s complaining! 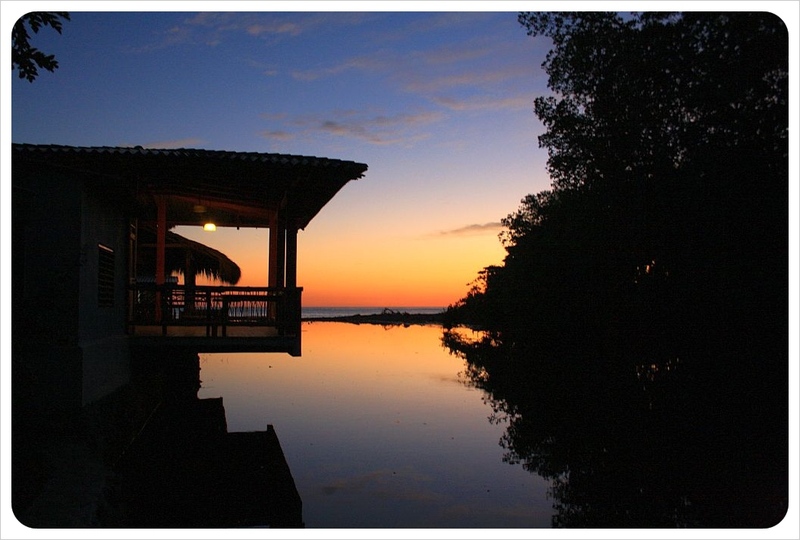 The islands of Bocas del Toro were above average in price, while the mountain town of Boquete was easily affordable. As a global city, Panama City is home to the finest luxury accommodation as well as 25 cent bus rides and street food for $1. Accommodation: $10 per person per night – the cheapest accommodation was $6.50 per person in a triple room, the most expensive was $12 per person (also in a triple). Transport: $1.50 for short-distance bus rides, $7 for medium distances, 12.50 for long distances. Inner city buses in Panama City cost between $0.25 and $0.50. Food: A meal is between $3 and $8, depending on the location. Culture: The Panama Canal visitor center at the Miraflores Lock is $8, a ferry ride to Taboga Island is $12 for a return ticket, and movie theater tickets are $3. We chose almost exclusively very cheap local transportation instead of the more expensive tourist shuttles. We ate at cheap local restaurants but also opted for pricier tourist restaurants more often than other travelers. 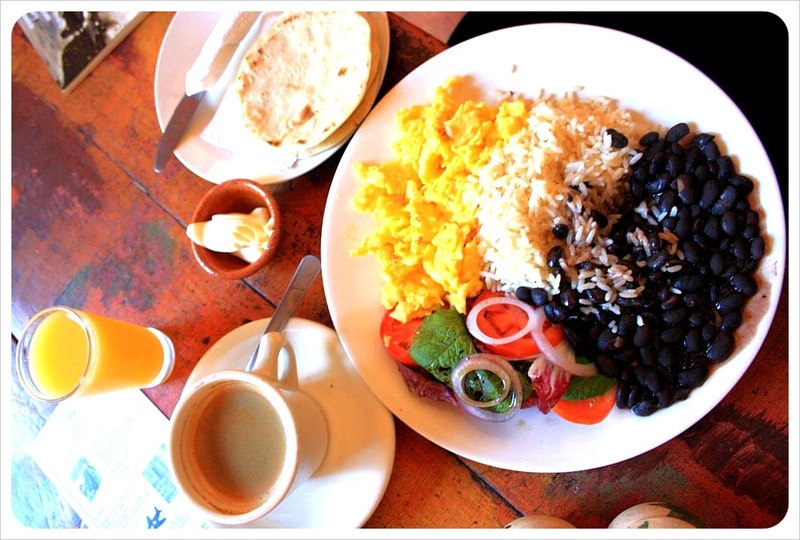 If you eat where the locals eat and sleep in dorm rooms, you can travel Central America on less money than we did. 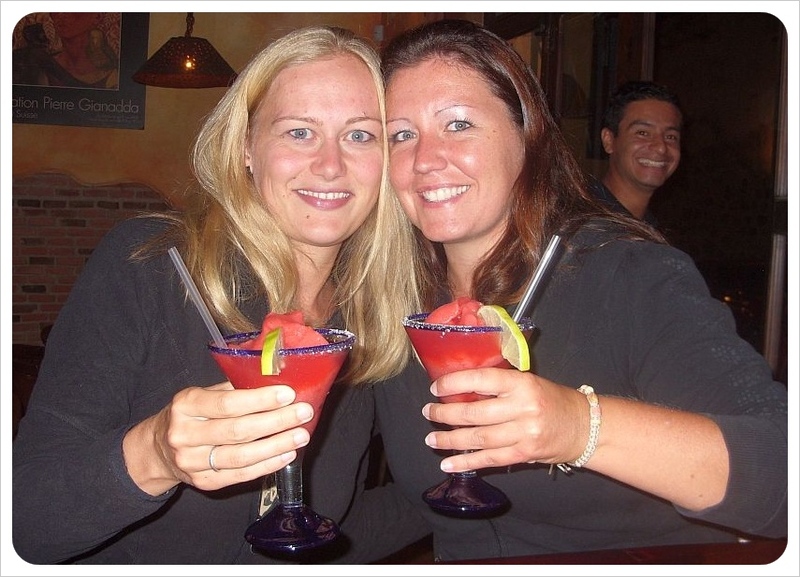 Note that we didn’t party a lot while we were there – we know lots of backpackers who party much more in Central America than we did – so if you’re planning on going out a lot, make sure to add that to your budget. 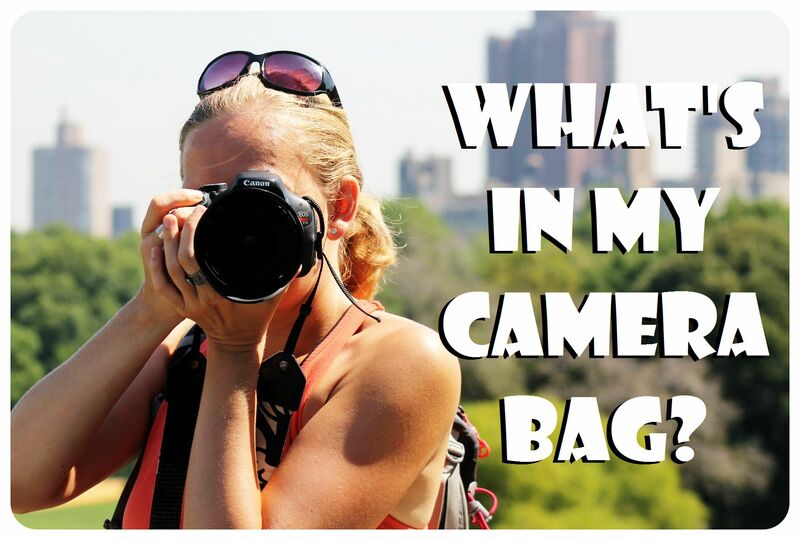 Wondering what to pack for your trip to Central America? Check out our packing list for the things we can’t travel without and the gear we’ve ditched over time. Have you traveled through Central America? 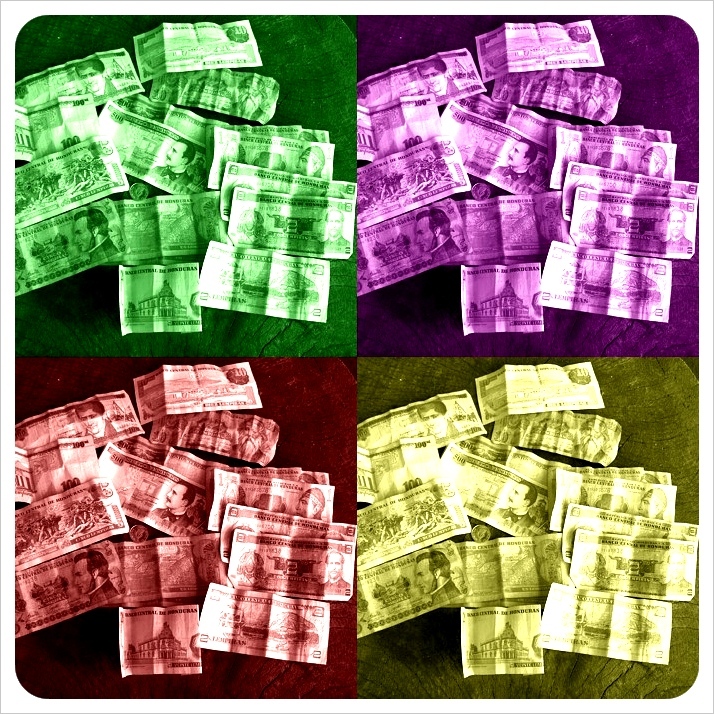 If you have, what countries did you find budget-friendly? Where did you splurge? If you haven’t gone through Central America, let us know if you plan to go and if you need any budget advice. Welcome to our weekly series Hotel Tip of The Week. Being on the road every day of the year means we stay at countless hotels along the way. For all the dingy, disappointing budget digs, there are as many budget accommodation gems. We post one hotel tip of the week, every week, of places we feel confident recommending after having tried and tested them ourselves to show you how budget travel can be done in style. As we enthusiastically outlined in our Seven Villages of Lake Atitlan post, Guatemala’s most popular lake one of the world’s most beautiful, and imagine our surprise when we were able to discover a hotel gem to match this great beauty. El Amanecer Sakcari is located in San Pedro La Laguna, which competes with Panajachel as the most visited of all the lake’s villages. Well-known as a party town, many budget hotels in San Pedro tend to be run down, no matter how charming the character of the place, but between all the piles of concrete bricks, we found ourselves one morning in the beautiful gardens of Sak’cari hotel, which means ‘sunrise’ in the local Mayan language. Super shoe-string backpackers won’t find a bed in a hostel here, as Sak’cari is beautiful little hotel with several spacious double rooms in two categories. The most affordable rooms around the yard are $19.50, while the more expensive rooms, at $32, look out over the lake through huge picture windows and have terraces out front. Each of the rooms has a private bathroom with high pressure hot water showers – no electric showerheads spitting out low-pressure water here. Fluffy towels and soap are laid out nicely on the beds, which are hard, wide, and invite you to spend hours watching the cable TV, which is also included in the budget price. The hotel is made up of three buildings – one at the back near the entrance, which is where the cheaper rooms are located, and the two at the lakefront, which are laid out around a meticulously kept two-level lawn. The above is open to the sun, the below space is covered by a roof. Rather than being strung between two trees, the hammocks here at Sak’Cari are held up by a sturdy base and two would fit comfortably on these superwide hanging mats. The hotel is right at the lake front, and those who rent kayaks can leave right from the back yard out onto the water. Sak’Cari also has a sauna down at the lower level (see below in Stand Out features). In the backyard area nearer to the entryway, there are two covered sitting nooks perfect for working and the wi-fi works best here. This hotel might fit easily into the budget range, but the views over the lake rival even Atitlan’s most luxurious hotels. The higher-budget rooms all have direct lake views, as does the entire grass section of hammocks. The best ‘extra’ we’ve ever had in a budget hotel stay is the small on-site sauna here. Budget travel can make you skeptical of extras like ‘free breakfasts’ (might just be coffee and a banana), ‘free wi-fi’ (which only works in a 1ftx1ft square while you stand on your head in the lobby). But for US$6.50, guests can rent out the clean, if small, sauna, which was just renovated when we stayed there. The sauna didn’t get steaming hot because the ceiling was too high, but this is what was being adjusted during our stay and should be even hotter than when we used it. The Guatemalan Highlands can get chilly, and spending a few super relaxing hours in the sauna and then relaxing in your king size bed can’t be beat. Sak’cari doesn’t have a kitchen and doesn’t offer breakfast. This is a no-frills hotel that puts all the money back in to fresh coats of paint on the building, replacing tiles, renovating saunas and overall making the hotel as comfortable as possible. It is a hotel, after all, not a hostel and with the cheap and delicious food and giant take away coffees around town, the lack of food facilities doesn’t feel like a true flaw. The only aspect missing to make this stay a perfect ten is that the hotel wi-fi does not reach the rooms. To be online you need to sit outside at one of the covered tables which was not a problem at all during our stay. Visiting a popular tourist area is a double-edged sword when it comes to budget accommodation – while there is bound to be a gem in the bunch of hostels and budget hotels, there are going to be countless other make-shift hostels to dig through in order to find it. We have unearthed this one and can whole-heartedly recommend El Amanecer Sak ‘Cari as a peaceful, relaxing getaway that somehow manages to make a budget holiday feel like a luxury vacation while you eat your way through the international cuisine, hike around the lake, learn Spanish next door at the San Pedro Spanish School and take day trips to other villages around the lake. If you found this useful, check out our Hotel Tip of the Week series for more hotel recommendations. 300 days on the road… almost exactly 10 months of backpacking, or flashpacking, as it were. Looking back on Day 1 arriving in Las Vegas back in April to where we are now, we still can not believe how much life, experience, adventure – and work! – we have been able to squeeze into these 300 days. Although the distance covered takes up a tiny amount of space on a world map, the quality time we have spent in the 8 countries has given us a deep understanding of Central America, Mexico, and Southwestern USA. The most recent 100 days starts way back in Guatemala, where we finished up a ten week stay – including a much longer stint at Lake Atitlan than we had intended. We also finally said goodbye to Antigua for good (well, for now) and experienced the relaxed vibe on Guatemala’s Caribbean coast, worlds apart from the rest of the country. After Livingston we spent a couple of weeks in Honduras, including Christmas and New Years. With the exception of Copan Ruinas, the very popular Maya ruins, we felt that we had the country to ourselves, as very few fellow travelers pass through there it seems. We enjoyed the country’s colonial towns of Gracias and Santa Rose, plus the well off-the-beaten track Lake Yojoa. It was here where we spent New Year’s Eve, with nobody but the owners of our hotel, their family, and the 377 different kinds of birds that live around the lake. 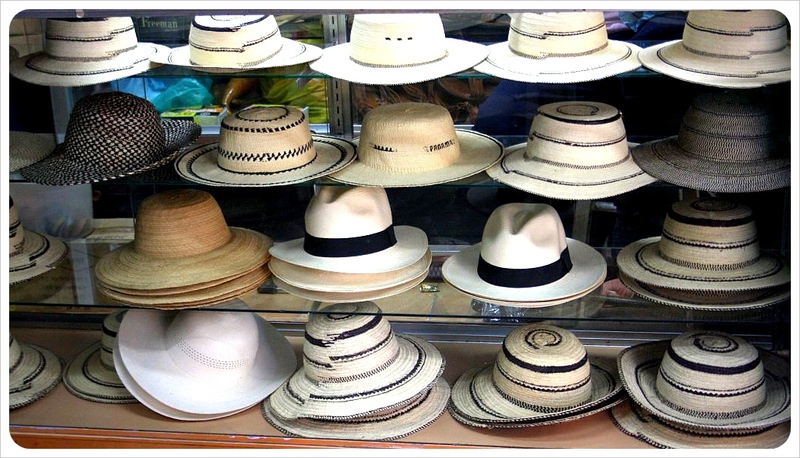 Then it was on to Nicaragua, which is Guatemala’s main contender as our favorite country in Central America. We spent six weeks here in January and February and would gladly have stayed longer. We fell in love with the city of Leon (click here our guest post on Suzyguese.com), boarded down a volcano, saw the first wild monkeys on our trip, and ticked the little known Corn Islands off our ‘1000 places to see before you die’ list. We snorkeled off of Little Corn island, and discovered that Belize is still by far the best snorkeling in Central America. We also learned that Honduras is still far from being a tourist-friendly destination whereas Costa Rica is almost an eco-Disneyland. Costa Rica has been the most surprising country on our trip so far. I first came to the land of Pura Vida back in 1996, returned to live one year here from 1999-2000 and have made a few visits since. Although changes in Costa Rica were always evident, it has been shocking to see just how Americanized the country has become in recent years. My favorite beach in the world and former hippie paradise Montezuma has been overrun by the over 60s no-hablo-espanol crowd wearing socks and sandals. 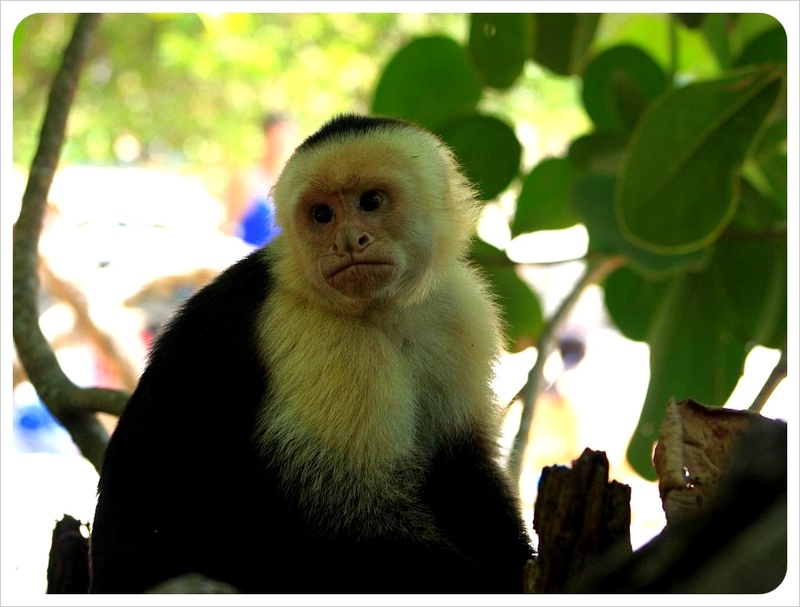 Manuel Antonio was even more of a tourist destination, but at least this area always has been. While you’re spoiled for choice in terms of activities here, and the quality of goods and services in Costa Rica are leaps and bounds ahead of the rest of Central America, the high prices and influx of U.S. ex-pats and their imported US culture has completely altered the easy-going uber-eco-friendly country I fell in love with all those years ago. The period of travel fatigue we felt at the 200 days mark seems forever ago, and we are now fully ‘acclimatized’ to the rhythm of balancing travel and work. Our travel skills (trip-planning, awareness, alertness) have massively improved, so that we managed not to have a single terrible travel experience in the past 100 days. As we write this post on our 300th day of travel, the digital nomad lifestyle is so fulfilling that we have no desire to stop and can not wait for the next 100 days. Our website developed the longer we were on the road, and we realized that in order to create a useful resource for budget travelers and tell our own story along the way, Globetrottergirls.com needed a re-design. The site has also become an additional income stream, and we needed a layout which was compatible for ads, as well as optimized for readers to share our posts and participate in conversation through a much better comment system. Thankfully we found Bundled.co, run by Joanne and Jon, who as digital nomads themselves really understood our needs. We had mentioned using Peopleperhour to land remote gigs in order to support your work & travel habit, so we posted our ad there and could not have been happier with our decision. The pair was always available for us, got back to us quickly, and perfectly understood what we wanted. We can highly recommend them to any bloggers who are looking to re-design their site. The site overhaul was easily the best decision we could have made, as our readership has been steadily growing, we have been able to begin the monetization process, and we have been contacted by countless readers who find our site useful and appreciate our tips, as well as new friends and business partners looking for collaborations on a few exciting travel projects. Watch this space for info on our most recent e-book contribution, coming soon. 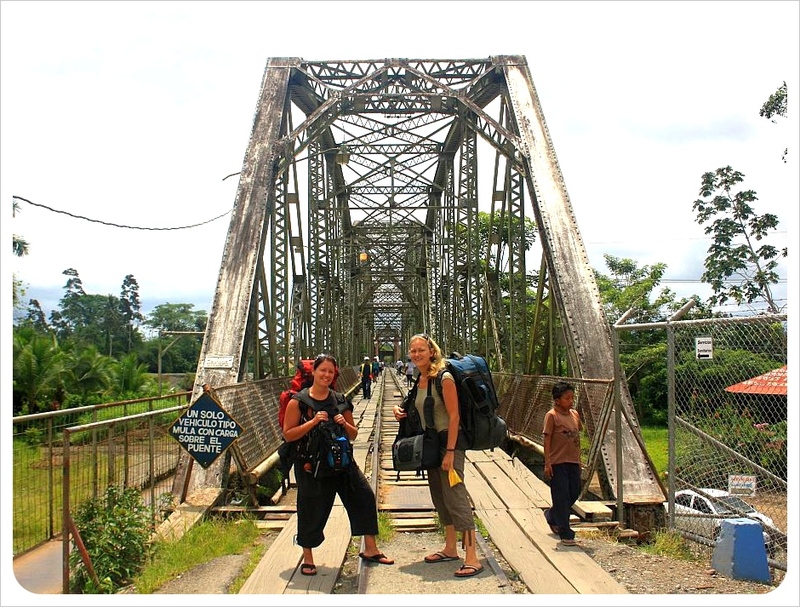 Since setting off last year, we have met loads of travelers along the way, several of whom we ran in to again even two or three countries later along this Central American Gringo Trail. However, our tweet-ups with fellow travel bloggers are the most memorable. We all share so much in common, combining a lifestyle of long-term travel and a lot of hard work. We have been lucky to meet up with two great bloggers in the travel community so far in Costa Rica. In the next couple of weeks, we are hoping to have two more tweet-ups and we’re very excited for both. In Panama hopefully we will spend some time with Breakaway Backpacker, Jaime, before meeting up with Erin and Simon from NeverEndingVoyage (a fellow digital nomad couple who left England for good! ), in Panama City before we hop on a plane to Munich. Yes, that’s right….we’re headed to Europe in our next 100 days. While we originally thought we would move on to South America after Panama, our plans have changed rather unexpected. A huge advantage of this digital nomad deal is that there are no rules. We have no set itinerary, and we are free to change our plans whenever we’d like. A fantastic house-sit opportunity in German Alps came our way, and after 9 months straight of Central America travel, we were more than ready for a spontaneously refreshing change. We will use the house in the Alps as a base to explore Newschwanstein Castle, go up on Germany’s highest mountain, the Zugspitze, eat hundreds of pretzels, see some more of Austria and breathe in buckets of fresh spring air while hiking in the mountains. Oh, plus catch up on a million and one projects, ideas, and blog posts we have on our minds. After our house-sit we’ll travel to Italy and Spain before returning to North America in June, when we are headed to Canada, we are doing another house-sit, and exploring Montreal, Toronto and the Canadian countryside. From there it’s New York City mid-August….and then our plans are not certain. Road trip through the U.S. South to New Orleans? Down the eastern Seaboard? Will we continue our journey through Latin America afterwards or go to Asia first? We don’t know! But then again, we don’t know if any of these plans are certain. If there is one thing we have learned in the past 100 days, is that we are free to be anywhere in the whole world the two of us would like to be! Continue here for our tops and flops of our last 100 days on the road. Welcome to our weekly series Hotel Tip of The Week. Being on the road 365 days of the year means we have seen some of the very best, and very worst, of accommodation options around the world. For all the dingy, disappointing digs, there are loads of accommodation gems with five-star service and dedicated owners no matter what price range you are looking for. We only feature hotels we feel confident recommending after personally staying at each, having tried and tested them ourselves. 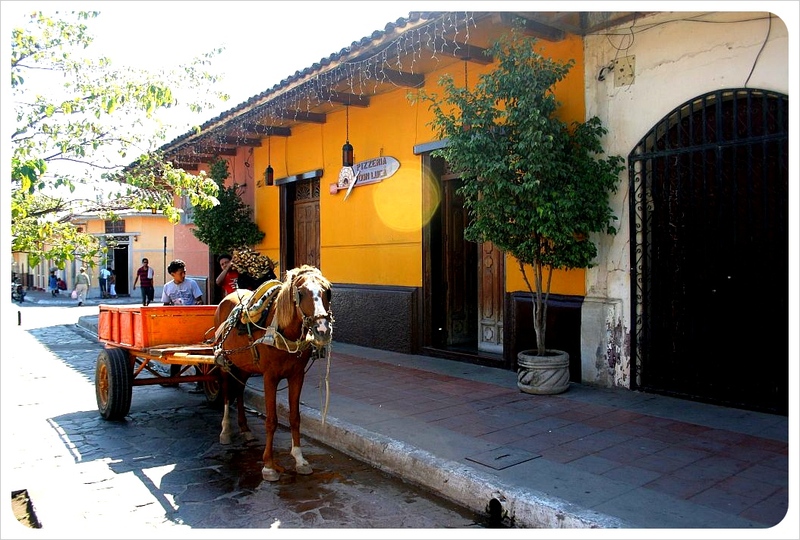 You could easily miss the Yellow House hotel, located just two blocks west of Antigua’s famous La Merced church. A small brown sign above the door is all that marks it, while from the street all that can be seen are the travel agency signs promoting shuttles, flights and tours in and around Antigua. In spite of staying over three weeks off and on at the Yellow House, even we, chatting away, walked right past the doors a few times. Once through those doors and past the travel agency, however, it is easy to see that this hotel manages to squeeze in every comfort you could want from a budget accommodation, and nothing you don’t. Downstairs are two small dorms for up to four people, along with two double rooms and the hotel’s four shared bathrooms. The downstairs rooms are spacious and very comfortable, but if possible, try to snag one of the seven rooms upstairs. All the upstairs rooms (6 doubles and one very small single) either have a view of La Merced church and mountains, or open up to the large terrace space. One room, at only $1 more per night, even opens out onto its own private part of the terrace, which can be roped off with a ‘private’ sign for dinner surrounded by a garden of flowers with a view of all three of Antigua’s volcanoes. 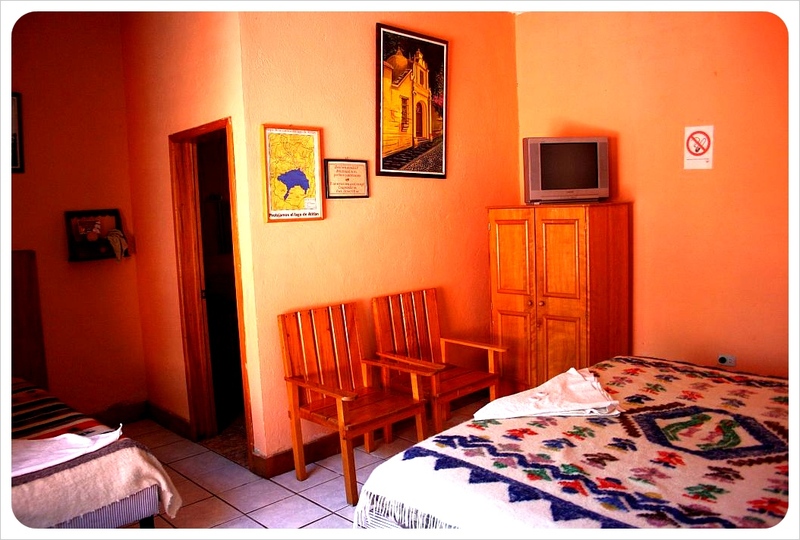 Rooms have new, comfortable beds with fresh white sheets, fluffy pillows and Guatemalan handmade blankets, well-screened windows to keep out insects, bedside tables and lamps, plenty of hooks to hang things and excellent cable TV. Guests range from early 20s to mid-60s, and no matter their age, guests often just shut themselves in their super cozy room at night, enjoying the luxury of a relaxing evening in watching TV. Antigua tends toward the expensive side for dining options, which is why having a kitchen available at Yellow House is so great. Despite its small size and room for improvement (see below) having the option to cook your own meals, keep food and drinks cold and be able to eat upstairs on the terrace makes Yellow House feel like home. The kitchen is closed in the morning, as staff prepares breakfast, which is included in the price of the room. Yellow House goes beyond the usual toast and jam included in ‘free’ hotel breakfasts, offering instead either a pancake or porridge, a piece of four fresh fruits (watermelon, orange, a banana and a slice of pineapple), scrambled eggs, black beans, potatoes with peppers and onions, a roll and sweet bread, plus coffee or tea. The first week we stayed there, breakfast was so large it practically spilled over the plate, but as high tourism season approached, the second time we stayed the food was noticeably less as all rooms and beds were completely full every day. Yellow House Hotel Stand Out Feature: Clean Bathrooms – like, really clean! The four shared bathrooms (two with showers, two without) are so clean, they actually smell of bleach most mornings and evenings. The whole hotel is kept tidy, with staff constantly mopping, sweeping, and repairing things which didn’t even look like they needed fixing. But back to the bathrooms…. Those who frequent budget accommodations know that one of the main things you give up in the budget range is a fresh clean bathroom. Not here. Each of the bathrooms is a real bathroom, with doors that close and lock and are private. There is always more than enough toilet paper and soap. The solar-powered showers spill hot water out of a real shower head, not those electric, start your day with an electric shock jolt if you touch it shower heads. Shower Tip: time your showers for the afternoon (3-5 if possible), as showers are solar-heated making morning showers super chilly. The roof-top terrace is an absolute plus. There are three tables, a couch, two comfortable arm-chairs and two hammocks under a covered roof, plus two tables not covered by the roof. At times the terrace is full, while at other times you have it all to yourself. The wi-fi, which is reliable and fast, works best on the terrace, functions in the upstairs rooms and the connection is shaky inside the downstairs rooms. Yellow House is by far one of the best budget places we’ve stayed, which is why it is surprising that in such a well-run and well-maintained hotel, one aspect could be left unattended. The kitchen is just too small to be used by staff and guests, and since the hotel is always booked out with budget travelers saving cash by cooking in, the fridge is also always too full – but not just with guests food. The fridge also holds all the food that the used prepare the breakfast each day – already enough to stuff the fridge. Staff could pay more attention to how long food sits in the fridge. In the large office behind the travel agency, there is plenty of room for staff to have their own small refrigerator for the breakfast food, and keep the one in the kitchen clean. Yellow House hotel was our ‘home’ for just over three weeks in total. In that time, we were not the only return visitors. At least 5 other groups left and came back to stay again during our time there, so make sure you either book beforehand or get there early in the morning as this hotel fills up almost daily. 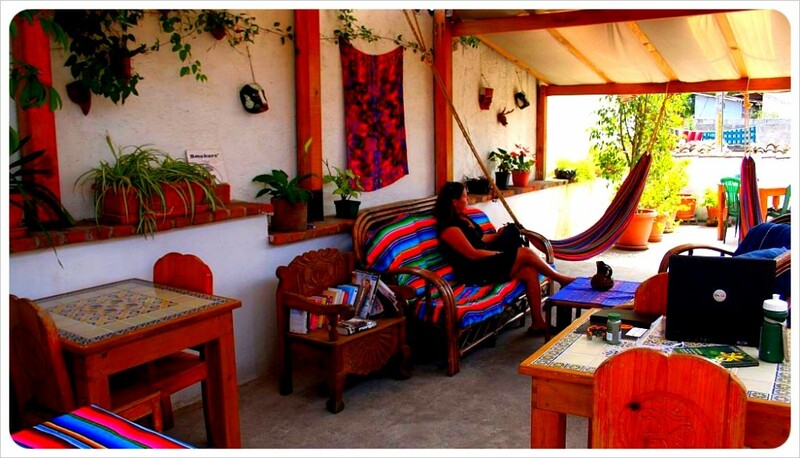 Yellow House easily stands out as our top budget accommodation in Guatemala. Location: 1st Street West between Avenue del Desengano and 7th Avenue, Antigua Guatemala, Guatemala (two blocks west of La Merced church). No matter how well you know a place, there is always so much more to discover. Though Jess lived here for two years, the 10 wonderful weeks we spent in Guatemala in 2010 led to some of our most magnificent discoveries and experiences of our travels so far. 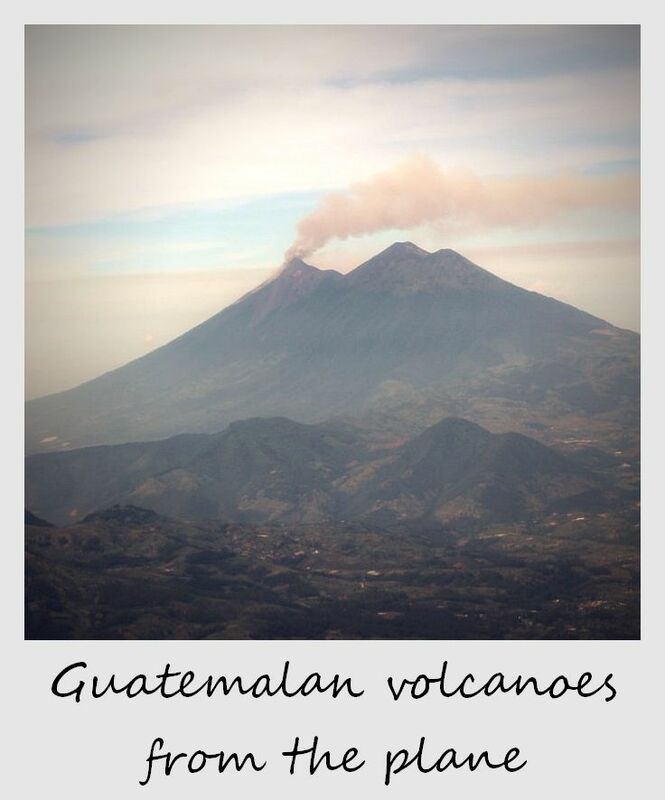 Read on for a list of 33 things, in no particular order, we absolutely love about Guatemala. 1. The impressive Maya ruins of Tikal – We had visited several ruins in Mexico and Belize, but Tikal is by far the most spectacular of them all. 2. Lake Peten Itza – Unlike the more famous Lake Atitlan, swimming in Lake Peten Itza is perfectly fine. Jump in off one of the many piers and dry off tanning on the dock. If you see Miguel (a highlight all its own – below) ask him to take you to the zoo on a little island in the middle of the lake. You’ll see all wildlife native to the region. 4. The boat ride through the jungle on the river between Rio Dulce and Livingston. 5. The children of Chichi who were our friends and guides throughout our time there. 6. The Mennonite Bakery in Xela – Open Tuesdays and Fridays only, this tiny bakery outside the center in zone three offers up fresh homemade breads, pastries, butter, peanut butter, jams and yogurt made by the Mennonite community based outside of Xela. Get there early, as the goods go quickly! 7. Women carrying giant baskets on their heads – Although this happens in many parts of the world, in our own experience, Guatemalans seem to do it the best. It is unbelievable how big /full these baskets can be. 8. The colorful ‘trajes’ or dresses of the Guatemalan women – We loved this in Mexico, too, with the difference being that in Guatemala the traditional dress is just so vibrant. Plus the little girls are so darn cute in their miniature versions! 9. The volcanoes – Volcanoes in Guatemala, which jut aggressively out of the verdant countryside, smoke, erupt and shake on a daily basis. All that volcanic activity is even more intriguing when you climb one yourself. 10. The Maya village of Todos Santos in the Western Highlands, although we ask you to please not go there. 11. Yellow House hostel in Antigua – After trying out a few other hostels and hotels in Antigua, we finally found Yellow House, which is the perfect combination of light, spacious rooms, huge free breakfasts and super cleanliness for under $20 a night. 12. The huge, cheap licuados (freshly blended fruit juices). 13. The beautiful colonial town of Antigua. 14. The craziness of a chicken bus ride – Although some people warned us of their safety, we traveled Guatemala almost exclusively by chicken bus. We will never forget hanging on for dear life, smashed in between families of six on either side of us, marveling at the ‘ayudante’ or helper as he squeezes with ease through the packed bus collecting money, exiting through the back door with the bus still in motion, climbing up the ladder to the top, and getting exactly the right bags down for the passengers disembarking before the bus has even come to a screeching halt in the middle of what appears to be deserted countryside, wondering where the people who got off even live, and also how the helper made it back in the bus so quickly?! 15. Hiking between villages along Lake Atitlan. 16. 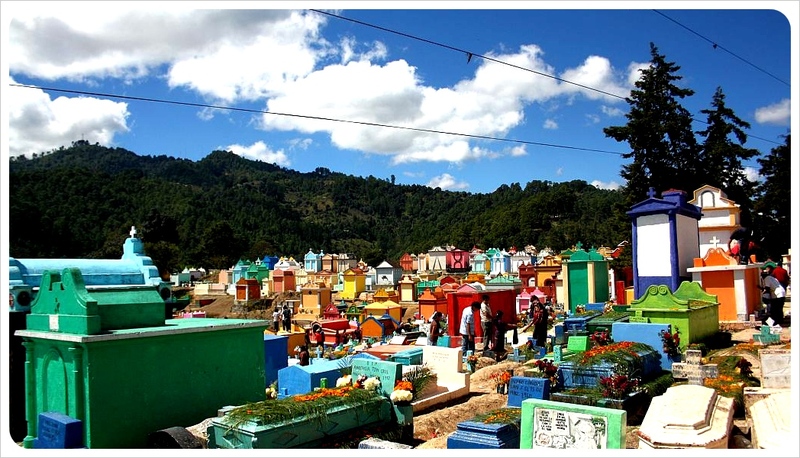 The colorful cemeteries, such as the one in Xela or Chichi. 17. The Caribbean feel in Livingston, completely unlike anywhere else in Guatemala. 18. Eating steaming hot Buñuelos. 19. The way that traditional indigenous life becomes a part of the everyday experience. It is amazing to ‘get used to’ such a different lifestyle, but in the end, we are all very much the same. 20. D’NOZ antipasti platter & huge bagels in San Pedro La Laguna. 21. The amazing markets – Guatemala has an incredible market culture, and we love to visit both the food and handicraft markets to soak up the atmosphere of the busy traders bargaining prices. 22. Canoeing on Lake Atitlan under that shadow of the impressive San Pedro volcano and the Indian’s Nose mountains. 23. Cowboys – Most of the men in Guatemala have long ago shed their own traditional ‘trajes’, but the cowboy culture is very much alive amongst the men complete with hats, big belt buckles and horses. 25. Marimba music, the traditional music of Guatemala. 26. The many fiestas all over the country – including traditional dances, masks, voladores and lots of fireworks. 28. The island town of Flores in Lake Peten Itza – With its red roof tops and church on a hill top, Flores seems more like a town in Turkey or eastern Europe. The people in this small island village are some of the friendliest we met in Guatemala. 29. Lush green gringo-safe, amoeba-free salads and fast wi-fi at Sundog Cafe in Rio Dulce – The town itself, also known as Fronteras, is more of a stopping off point for onward travels. If you do stay, eat all the roughage you want here. 30. The exotic flowers for sale in the markets and along the highway. 31. Visiting Maximon in Santiago Atitlán – The popular Mayan folk saint who is worshipped in the Western Highlands of Guatemala, and the figure in this Lake Atitlan town is the most celebrated of all those scattered throughout the region. 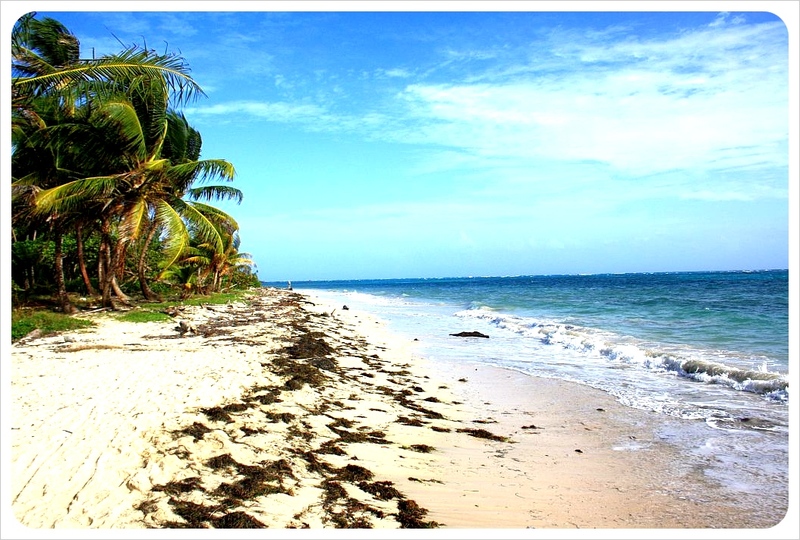 If you found this interesting, why not check out what we love about Mexico and Belize. Have we forgotten something spectacular about Guatemala? Do you love something we haven’t mentioned? Please add to our list below! 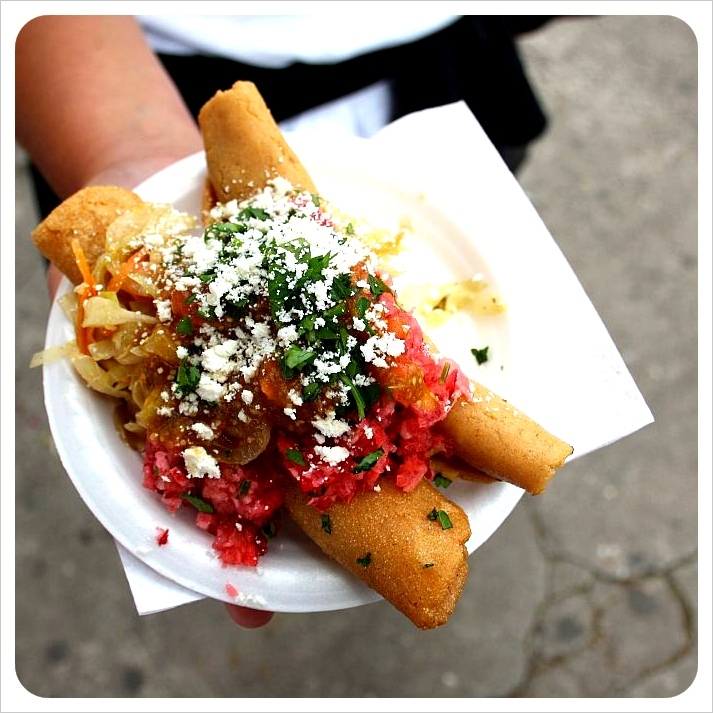 The Globetrottergirls are street food junkies, and we were not afraid to shout it from the proverbial rooftops during our 11 week stay in Mexico last summer. 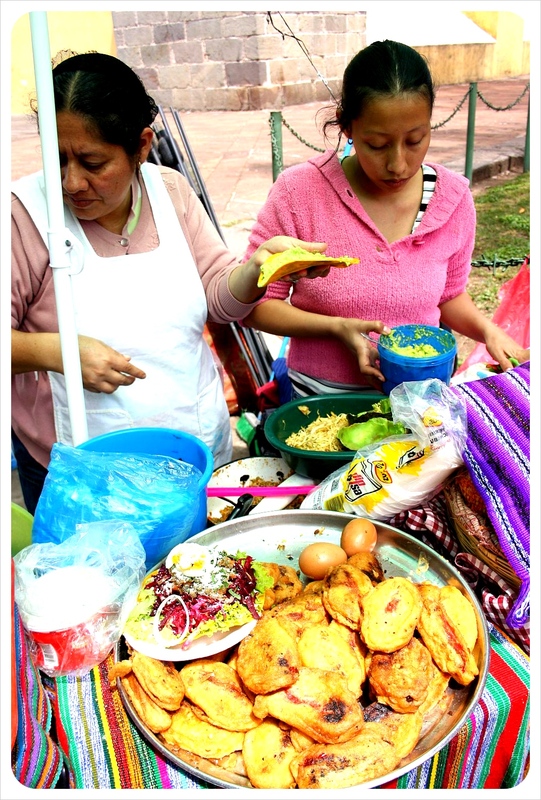 Embracing the local cuisine, in its most local forms, deepens the traveler’s relationship with the country and its culture, and it is fun to sample foods from food stands which essentially form an unofficial outdoor buffet in central parks throughout Latin America. 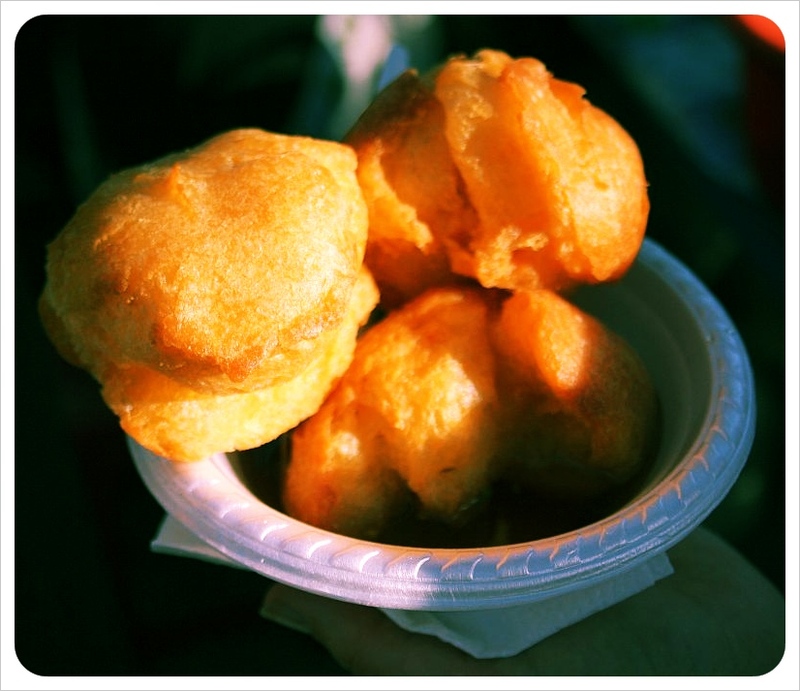 Plus, for those of us nomads out there traveling year round, street food is the perfect break from the lengthy and expensive process of eating out in restaurants day in and day out. 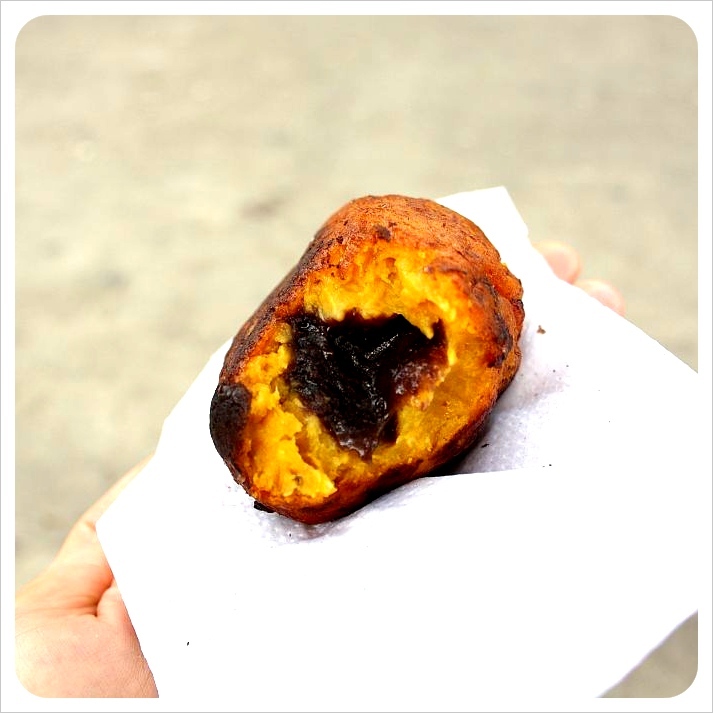 This El Salvadorian staple is very popular in Guatemala. 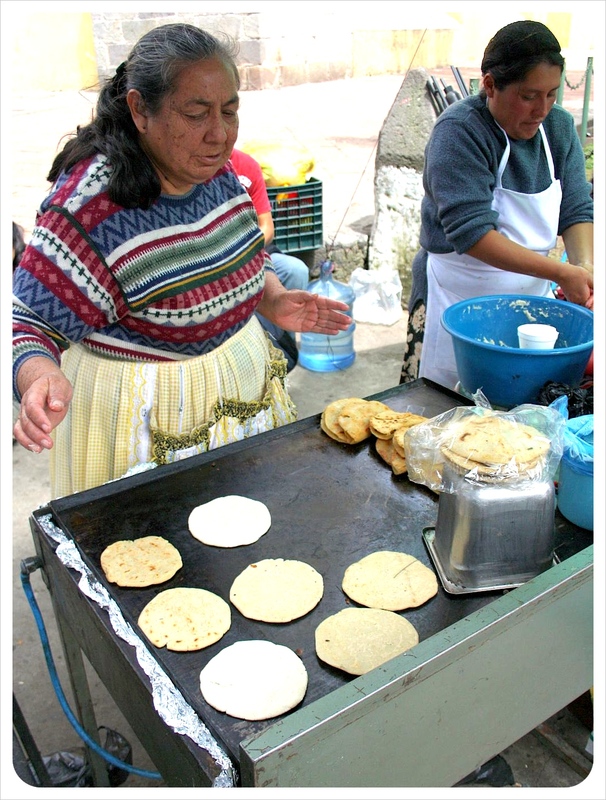 The thick corn tortillas are stuffed with either refried beans, cheese, a bean-cheese combo, or cooked pork. A marinated cabbage and tomato salsa are added on top. Despite their popularity in Guatemala, this street food doesn’t begin to compare to the delicious originals made in El Salvador, where the cheese is tastier and the shape and quality are far better than most in Guatemala. But if you’re veggie and in a hurry, a pupusa will fill you up easily. Price: Q12/US $1.50. *the exclusive opinion of Globetrottergirls and though not official, trust us in judging their awesomeness. For the meat-lovers out there, the street food options in Guatemala triple. The meaty varieties include salchichas (sausages), chicharrones (fried pork skin), cheveres – hot dogs (apparently there is a delicious type with avocado). 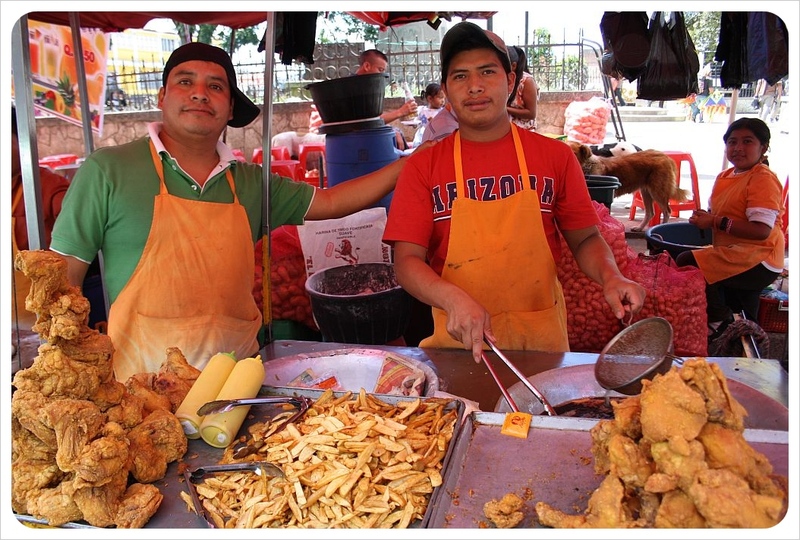 What’s more, cheap fried chicken, burgers and fries rule the streets of Guatemala. 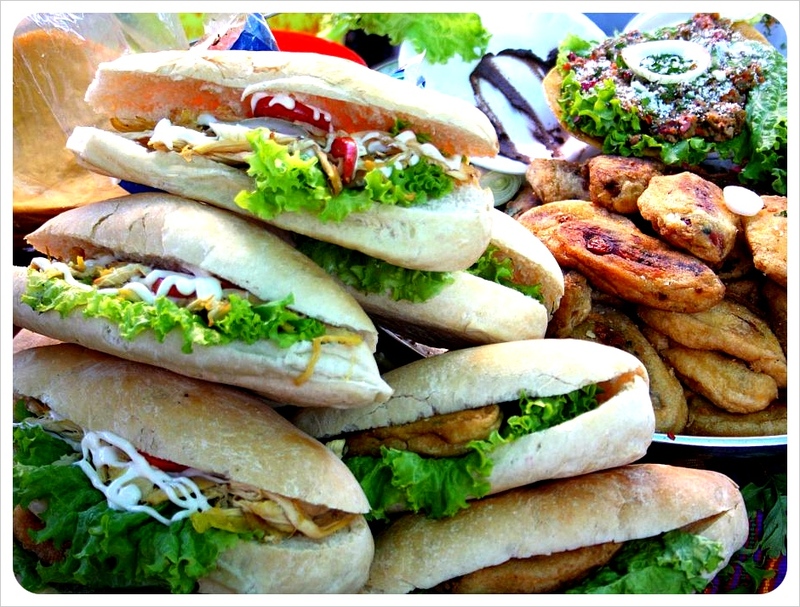 Sandwiches are another popular item, with baguette-like white bread stuffed with lettuce, mayo, onion and usually fried, breaded pork. It has been especially recommended to us that you sample the garnachas, small fried corn tortillas which are stuffed with shredded meat and cheese and usually topped with cabbage, and the chile rellenos. The smaller sweet red peppers (similar to bell peppers, but smaller) are stuffed with beef, dipped in egg and deep fried, squeezed flat and then put on French white bread, to which cabbage, beets, carrots and a special sauce are added. Of all the meaty street food, we most wanted to try these chile rellenos, but there is never a cheese variety, always meat only. Note: We did find eating street food in Guatemala a bit riskier than in other countries in terms of belly aches and less ladylike bowel issues. 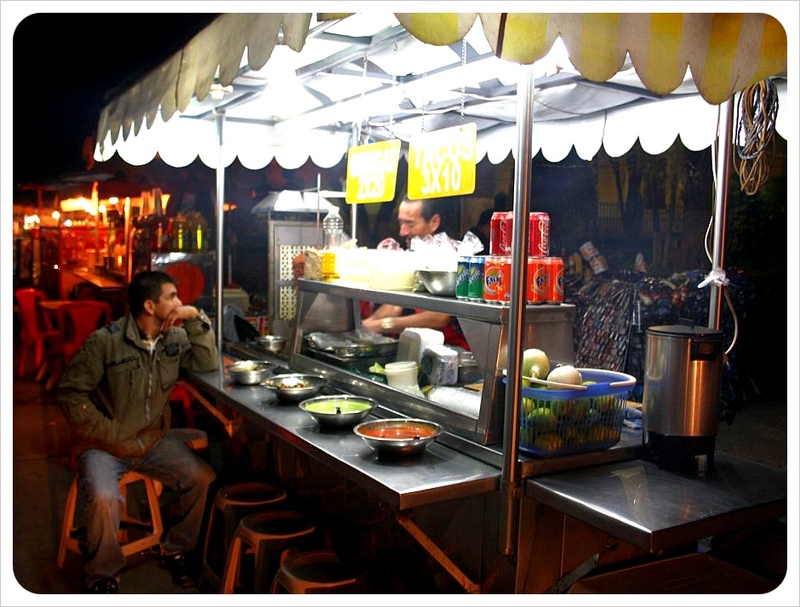 It is especially important in Guatemala to pay attention to who is eating where – seek out the popular food stands. If 20 locals are surrounding the street food vendor, jump in line there too. Locals want clean, healthy food as much as visitors do. Do not feel deterred by this warning, but do make sure you choose your street food wisely. 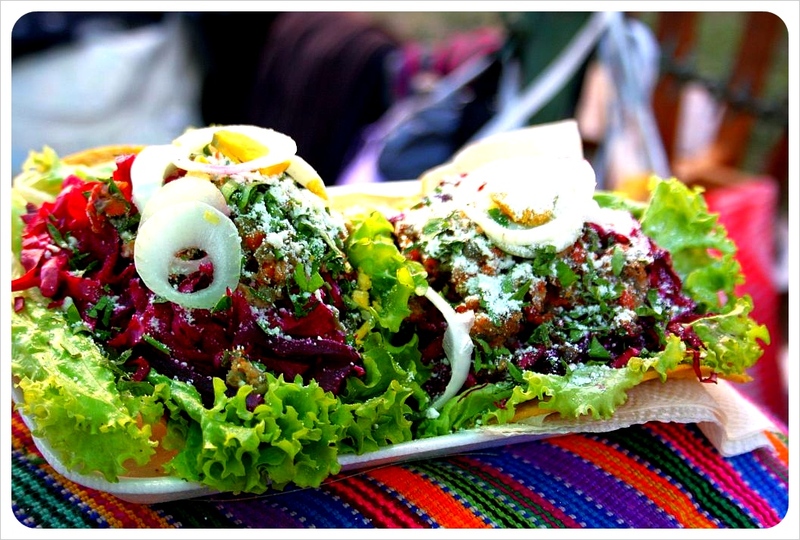 Have we missed any delicious Guatemalan vegetarian street food items? Feel free to make suggestions for others in the comments below. 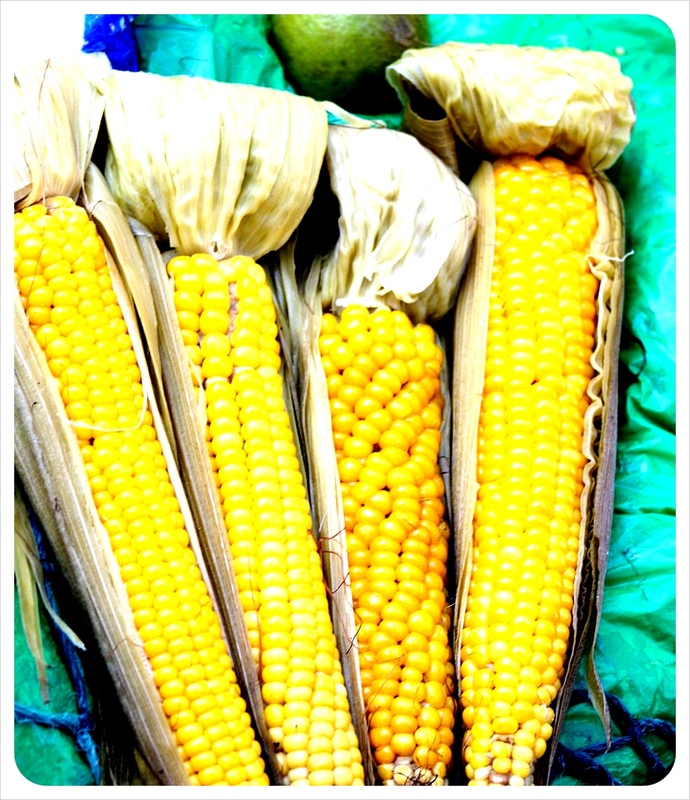 What are your favorite Guatemalan foods? Along with Antigua and Lake Atitlan, most visitors to Guatemala will include the famous Chichicastenango market to their itinerary, and with good reason. The market, held twice weekly on Thursdays and Sundays, is the busiest, bustlingest market in Guatemala. Half the market is specifically aimed at tourists, with the sale of handicrafts typical of the region, from indigenous masks, wooden flutes and handmade jewelery, to the countless ways to work the colorful Guatemalan textiles: shirts, tablecloths, notebook covers, bookmarks, you name it, you can buy it at the market in Chichi. 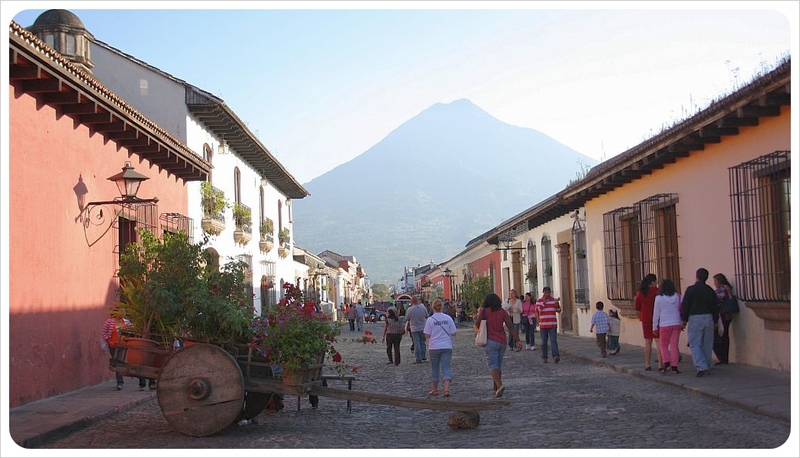 Because the majority of tour operators lazily promote the market as the town’s only tourist attraction, the majority of visitors make only a short day trip here, loading onto cheap shuttles from any of Guatemala’s main tourist centers. Thousands of shoppers shuffle at snail speed through the streets, and between negotiating through the massive crowds and endless bartering, at least one the five hours will be spent recovering from the intensity at one of the cafes or restaurants in the town center. Do this short day trip, and you might miss things like a rooster sacrifice (which we saw, see below) or the other half of the massive market, where locals trade everything from fruit, vegetables, eggs and flowers, to limestone to make tortillas, kittens, live cattle, chickens and turkeys. Plus you might miss the chance for a quiet moment in incredible Santo Tomas church, a hike in the incredibly green hills, the feeling of a truly indigenous Mayan town and for you true capitalists out there – the deals are much better on ‘down’ days too. Come the day before the market and marvel at the Maya people descending on the town, carrying more on their heads than you could in your car, setting up the intricate maze of wooden beams that hold the market together. Since there is not much to do in this traditional village at night, wake up with the roosters (literally) and start the shopping spree before the shuttle bus invasion. Stay a day or two longer and discover even more. The town center is essentially a permanent market, anchored by two churches. The main white church, Santo Tomas, is crammed on market days, sometimes employing a one-in-one-out policy at the side entrance like a trendy NYC night club. The line is at the side entrance because the steps leading up to the front entrance are actually considered holy, and the locals burn piles of incense on its steps. On an off-market day, you can sit and watch the locals without cringing every time a pack of camera-toting ‘gringos’ clambers up the holy steps to the front entrance. Because the majority of the 49,000 inhabitants are indigenous, Maya tradition is very much alive in Chichicastenango, and Santo Tomas church, although constructed as a Catholic church, is ruled by Maya rituals inside: pine needles and candles cover the floor, as do offerings of sodas or liqueur to the gods. Sitting opposite the Santo Tomas church is the equally intriguing Calvario church. To reach the Calvario, pass the mural painted along the entire wall on the east side of the plaza (completely masked by stalls on market days), which presents a clear, if simplified, understanding of how the civil war was perceived by the indigenous population here. On a hike through the hills outside of town during our visit, we walked upon a private ceremony of a traditional rooster sacrifice taking place to the Maya sacrifice stone, Pascual Abaj, a shrine to the Maya Earth God Huyup Tak’ah. Made of a large black rock surrounded by stones, the shrine is said to be thousands of years old. Here the Mayans hold sacrificial rituals to pray for health, good fortune, and women can ask for a ritual to find a sober and good husband. Though as two veteran vegetarians we wouldn’t usually endorse cutting off of innocent rooster heads, the scene was fascinating to watch. (Have a look for yourself below!) Along with the ceremony leader and his two daughters/assistants, there was a man, around 20 years old, who was the focus of the ritual. We were the only visitors. No one had a problem with our presence at all, though we would recommend asking permission to film or take pictures. Even without the live ritual, the site is littered with items from past sacrifices, such as flowers, liquor and Coca cola bottles, pine needles and thousands of candles which were lit on the site. Because Chichi is so open to foreign guests, you too can search for a sober husband or health or good fortune by booking your own ritual for $7. While on the road to town from Pascual Abaj, stop by La Academia de Arte y Cultura Maya Pop Wuj, a gallery/project space bursting at the seams with Maya art. Sponsored by Project Guggenheim, the cultural space seeks to provide courses for Guatemalans of Maya Quiche descent, in order to increase pride in their heritage and modern day identity. Brothers Juan and Miguel Leon Cortez are incredibly welcoming, so step inside for a chat, and even learn about all about your Mayan astrological sign. Both of our signs were scarily accurate, down to the smallest details of our personalities. For spectacular views of Chichi and the surrounding mountains, head to the cemetery up on a hill on the western side of town. Filled with colorful mausoleums, including a pyramid-shaped tomb, and simple Mayan graves, the cemetery is rich with history and culture. Some say the cemetery can be dangerous. We avoided this by befriending six of Chichi’s finest young street vendors. The boys protected us through the cemetery, taught us how a bit of the local Quiche language, and provided us with their very own, very interesting, semi-fabricated history of Guatemala. When to go: The Sunday market has more stalls than on Thursday, plus processions and parades are also held. Accommodation: Chichicastenago has a range from budget to luxury accommodation. All room rates spike on market days, discounts are often available for two nights or more, since most only stay the one night. 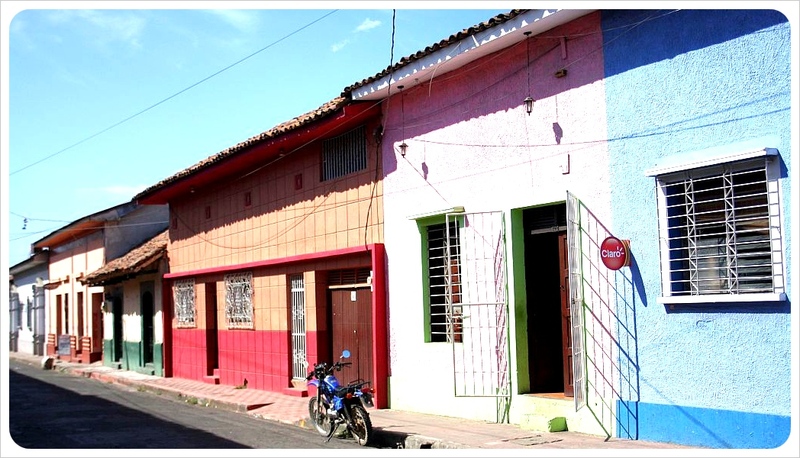 Budget options: Hotel Tuttos and Hotel Belen have double rooms for around $15/£9.50. Splurge: Hotel Santo Tomas has double rooms for $128 /£83, the Maya Inn for $160/£103. Key Celebrations: In addition to Thursday and Sunday markets, festive days in Chichicastenango include November 1st, All Saints Day, and November 2nd, the Day of the Dead, when hundreds of families gather on the cemetery to drink and eat together, celebrating and mourning the dead, and kids let their kites soar. On December 7th, the Burning of the Devil, garbage is burnt in the streets to release evil spirits, and on December 8th, there are dances to celebrate the ‘Feast of the Immaculate Conception’. 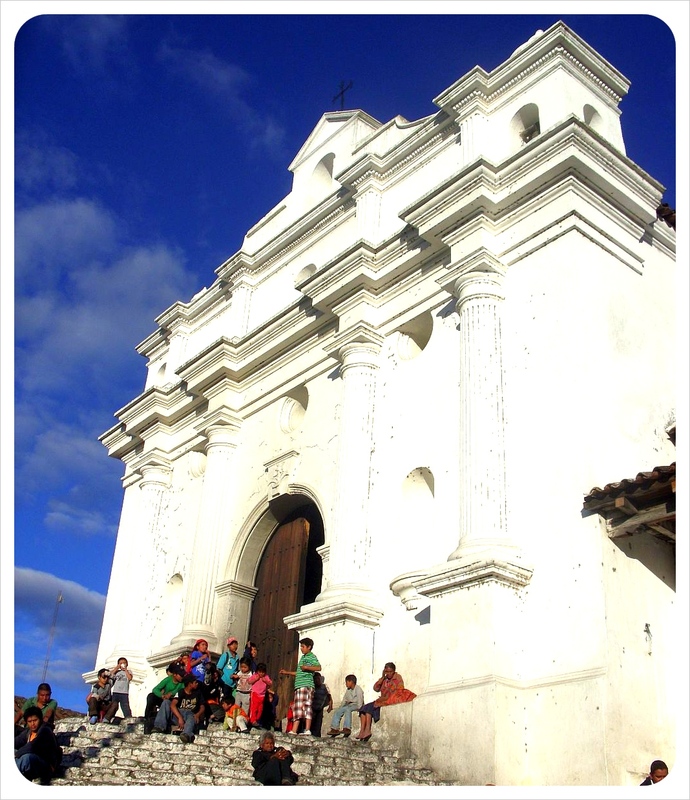 From December 13th to 21st, the town’s church, Santo Tomas, is celebrated with dances and voladores. 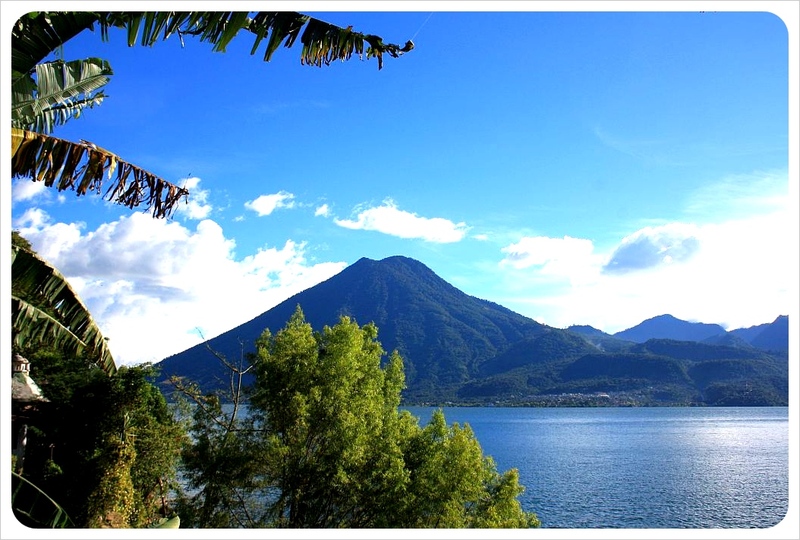 Transport: Antigua, Lake Atitlan, Xela or Guatemala City for roughly $5 each way. Location: Chichicastenango is located roughly 3.5 hours from Antigua, 3 hours from Guatemala City, 3 hours Xela and 1.5 hours from Lake Atitlan.